The immediate past Governor of Akwa Ibom State and Minority Leader of the Senate, Senator Godswill Obot Akpabio, has vehemently refuted the story making the rounds in the media that he is unhappy with the Governor of the State Mr Udom Emmanuel for alleged wastage of public funds in attending the just concluded AKISAN Convention in the United States of America. Senator Akpabio, speaking during an interview with newsmen in his office at the National Assembly Complex by 8pm yesterday, said he is extremely happy with his successor and particularly commended him for his inclusive governance style of getting Akwa Ibom people in the Diaspora involved with his developmental blueprint for the state, especially that of relentlessly bringing investors to the state, which was a major purpose of his attending the 2015 AKISAN Convention. He reinstated his faith, belief and total support for the Governor, whom he extolled for defying detractors to take bold steps to respond to the yearnings of the Akwa Ibom people. The Senator said he is displeased that even after he had left Office as Governor of the State, mischief-makers are still peddling untruths and cautioned these rumour mongers to “leave Akpabio alone”. He advised agents of disharmony to desist from their disruptive tendencies as Akwa Ibom state is moving Forward to Greater Heights under the leadership of Mr Udom Emmanuel. He stressed that he does not have the time to meddle into the affairs of the State – not because he does not care, but because he has his hands full with matters in the Hallowed Chambers as the Senate Minority Leader, and because Mr Udom Emmanuel whom the entire state voted into office, is more than capable to pilot the affairs of the State to greater heights. Sen. Akpabio, insisted that His relationship with his successor, Gov. Udom Emmanuel is very cordial but warned detractors to desist from sponsoring false rumours and join hands with the industrialization plan of the current administration. He restated that when he was a governor he righteously attended the AKISAN conference because it is a viable forum for social and economic interactions between Akwa Ibom people from across the world. The event has been a necessary interface between the Government and its people in the Diaspora in which case the gains of a vibrant diaspora to its home state or country are many and varied. Primarily, this network of kinship is a well-known provider of remittances and major source of revenue for the country at large. 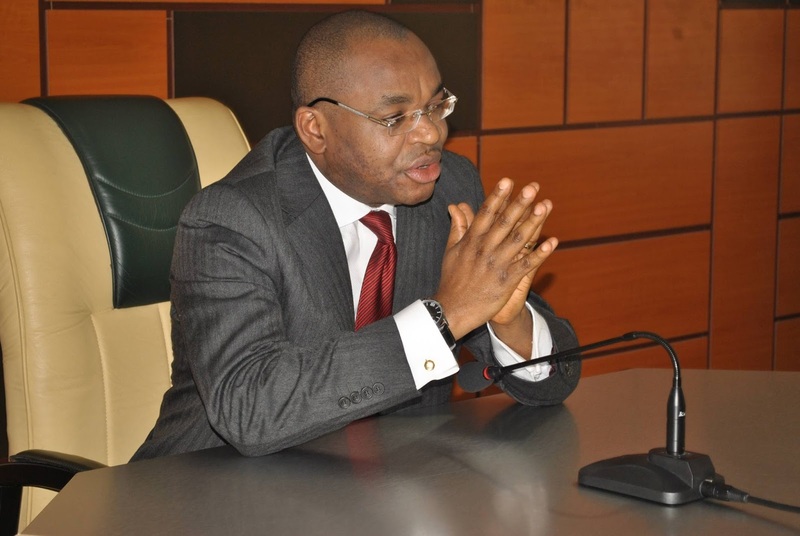 It also helps improve economic activities by creating and conducting business transactions across international borders, promoting foreign direct investment, in addition to transferring new knowledge and skills: and increased Foreign Direct Investment is a major direction of the State Governor, Mr Udom Emmanuel’s economic policy thrust. Finally, to put the rumours to bed, the Senator stressed his confidence that Governor Udom will take Akwa Ibom to higher heights and advised the idle hecklers to please “leave him alone” as he is very busy with the affairs of the office of the Senate Minority Leader in the red chambers.